This will affect access to Special Collections and MERL open access library material, including books, periodicals and pamphlets. Please accept our apologies for this inconvenience. 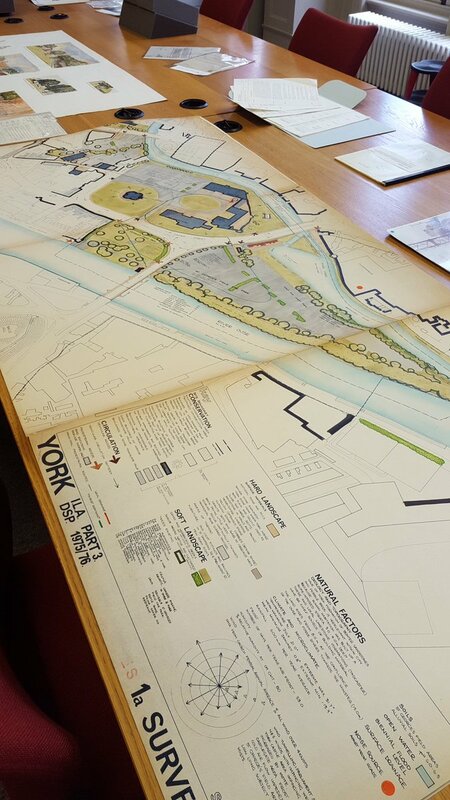 On Saturday 1 April 2017 MERL hosted a FOLAR (Friends of the Landscape Library and Archive at Reading) study day on the topic of: ‘Landscape Architecture and Management Education in the UK: past present and future’. 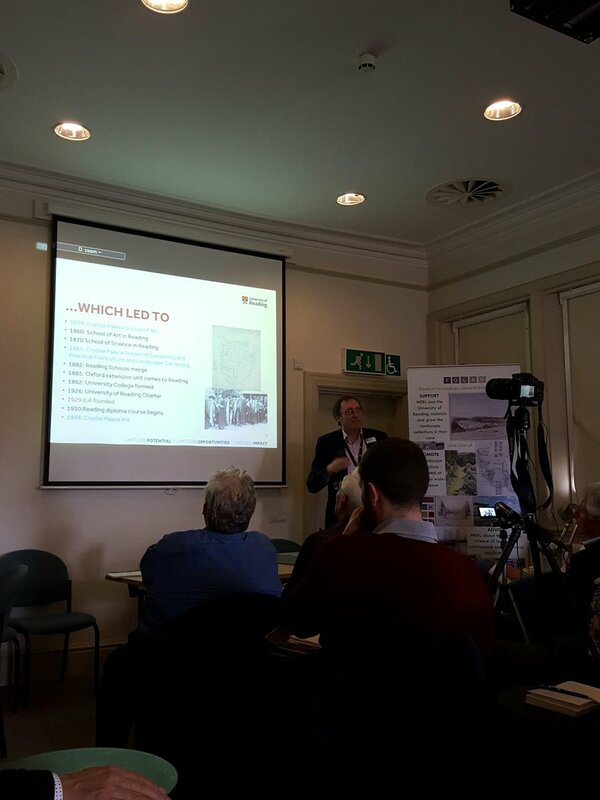 So said one of those who attended the recent seminar at MERL organised by FOLAR. Chaired by John Stuart-Murray (University of Edinburgh), this half day event had 4 speakers: Guy Baxter, the University Archivist, who spoke about the first English university course in Landscape Architecture set up at Reading in the 1930s; Jan Woudstra (University of Sheffield) on the development of English Landscape Architecture Education and after the tea break, former Reading senior lecturer Richard Bisgrove who spoke about the Landscape Management degree at Reading which ran from 1986 to 2009. The last speaker was Robert Holden (former University of Greenwich), who gave us much food for thought about the current state of landscape education in the UK. It appears to be in decline, while at the same time the demand for qualified landscape architects by employers outstrips the supply of home grown graduates. Much of the question and answer session after Robert’s talk explored why this might be the case when the situation seems very different in both the USA and other European countries. Earlier, Jan Woudstra had suggested possible reasons, citing the encroachment of ‘new’ course topics, such as ‘landscape urbanism’ into a subject area once occupied by landscape architecture alone. He mentioned too the lack of landscape research in the UK (though Sheffield boasts a healthy 45 PhD students! ); the difficulty too of conveying a consistent image to the wider public, prospective students and their parents about what the profession landscape architecture is all about. The irony is that the work of landscape professionals lies at the very heart of the current political agenda, while landscape architects and managers have long been used to the interdisciplinary working that is now essential in our 21st century world. 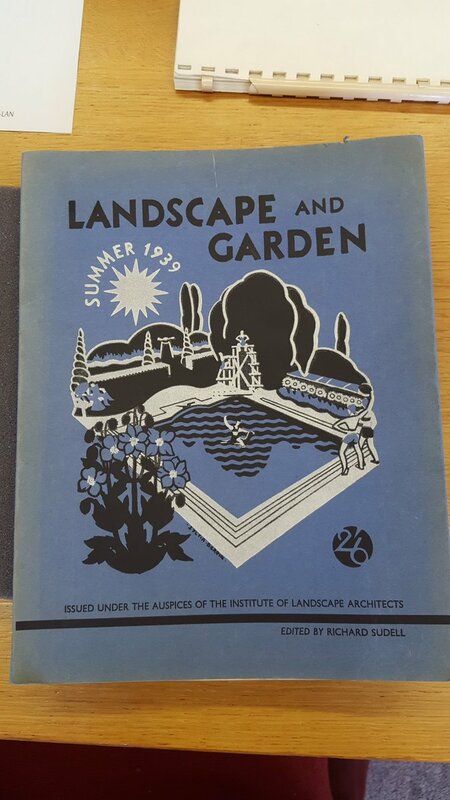 Guy Baxter’s talk made interesting links between the pre-war students at Reading and some of the members of the fledgling Institute of Landscape Architects (ILA) they helped to establish. 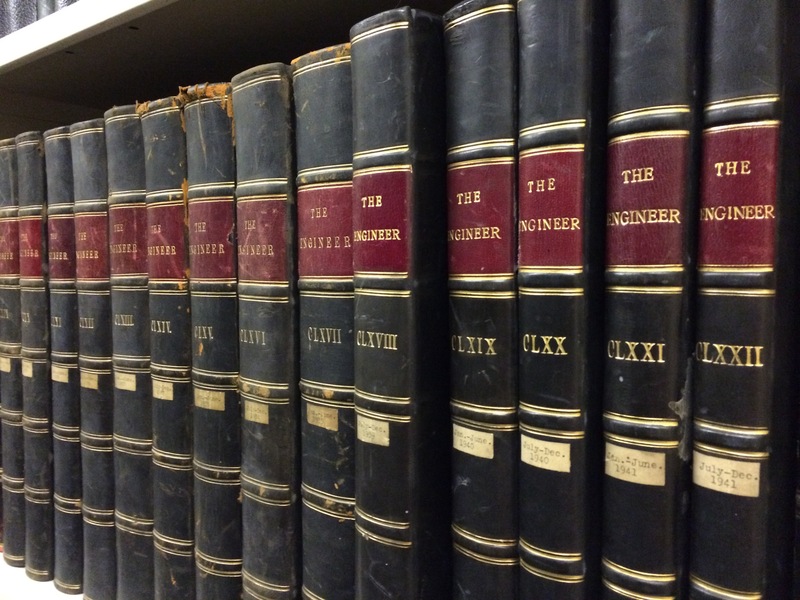 The Institute’s archives deposited at MERL reveal the connections. The first ILA member, for example, ‘Member No. 1’ was Marjory Allen (Lady Allen of Hurtwood) the landscape architect who was an early advocate of the importance of providing for children’s play in our urban areas. Richard Bisgrove described the genesis of the BSc (Hons) in Landscape Management course he set up at Reading in 1986. It ran successfully for many years, training students who then went into various branches of the landscape profession. Lecturers on the course included Tony Kendle who later went to the Eden Project and Ross Cameron who moved to the University of Sheffield. 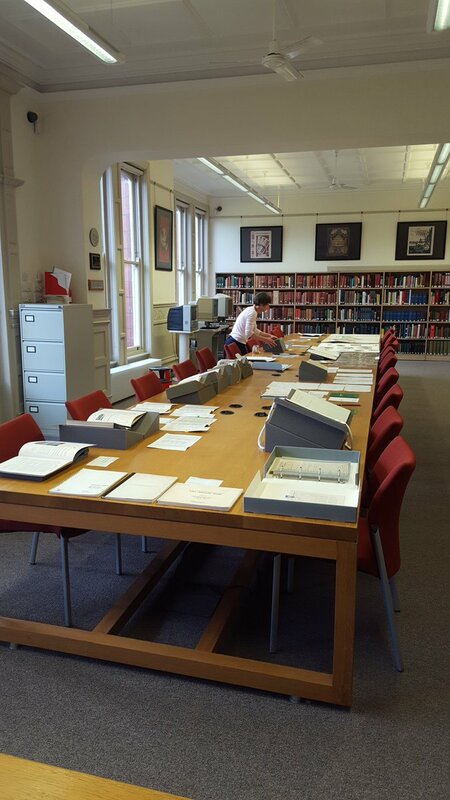 One small downside of the day was that the full programme allowed little time to look at the wonderful display of archive material put out for us in MERL’s Reading Room. So to the MERL staff involved, can I offer both apologies as well as many thanks for helping to make such a thoroughly enjoyable and informative day. A video recording of the seminar itself will be posted on the FOLAR website shortly. 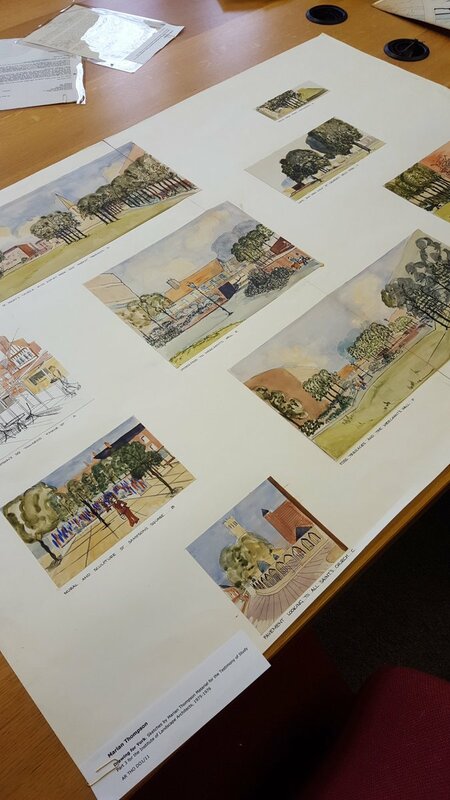 You can find out more about our Landscape Institute collections, using our Reading Room, FOLAR or see tweets and Instagram posts from the event. Is this a garden or a teeny tiny farm? Science engagement officer, Robyn Hopcroft, provides an update on our sugar beet growing project. It’s National Gardening Week, and at The MERL we’re lucky enough to have a beautiful garden with a large lawn, herb garden, woodland area, and several community growing projects. It’s a great space for experimentation with different plant varieties and one of our current projects involves growing sugar beet – a vegetable that’s normally grown on farms rather than in gardens. I must say that I felt very nervous waiting for our crop to germinate. The soil temperature and pH were right and we planted according to advice provided by British Sugar. But I was still worried that the seeds wouldn’t grow. 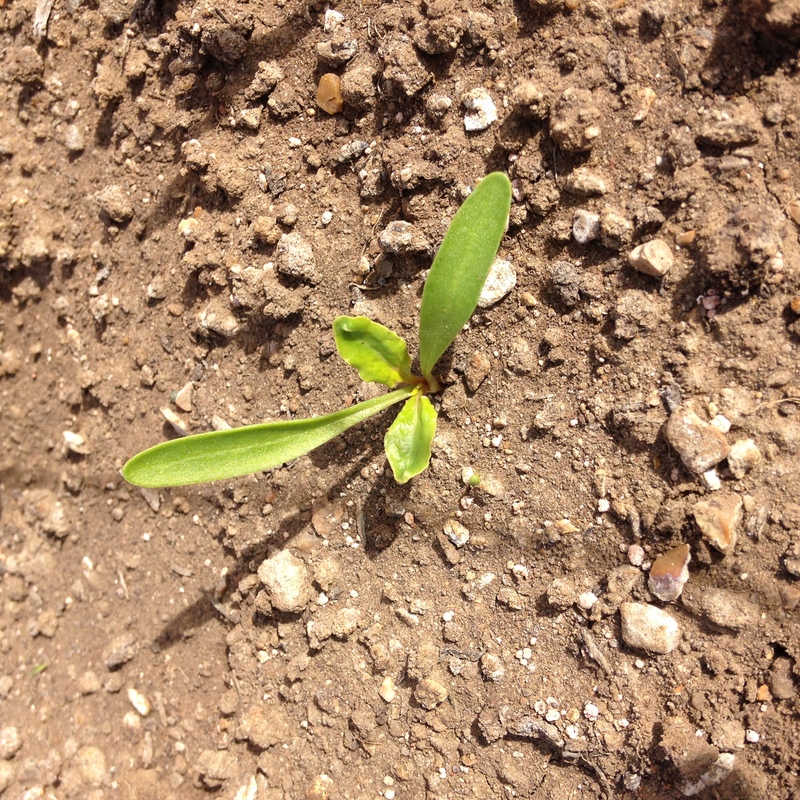 I’m now pleased to say that our beets have germinated and are getting bigger and stronger by the day. We applied fertiliser, as directed, and I worried that it might burn the new seedlings. We thinned the crop and I felt terrible for killing off perfectly good seedlings. Now, as the beets grow, I’m checking the bed with obsessive frequency – weeding and watering and fretting about the possibility that tender new leaves might be delicious to caterpillars and snails and vulnerable to any number of diseases. 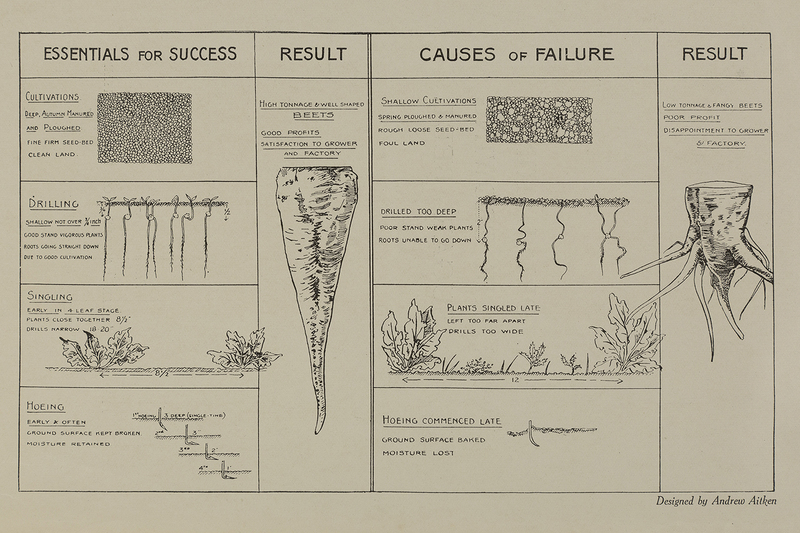 And what if the soil that I’ve painstakingly sifted using a hand-held riddle is still too stony to support a root crop like sugar beet? (Sir Alfred Wood Collection, Reference: D MS1087 36/2). Is this how a farmer feels in springtime? Excited about the possibilities, but acutely aware that it could all be snatched away at a moment’s notice by an oversight or act of nature? In my case I guess it’s just run of the mill gardening angst. Both the gardener and the farmer must deal with uncertainty, but if our sugar beet crop fails, it will be a mere disappointment – it won’t affect my pay cheque. Yet scale our tiny Beet Box up to 100,000 beets per hectare and the stakes are so much higher on a real farm. A novice like me can just ‘have a go’ at gardening and see what sprouts, but a beet farmer (or any farmer) must be an expert in her domain. Keeping up to speed on the latest research and advice and combining this with experience in the field (or knowledge handed down through generations) helps a farmer to manage risk and respond to set backs, increasing the chances of bringing a profitable crop to harvest. I think I’ll stick to gardening for now and see how I feel about beet farming at the end of the season.